"THE CULTURE FACTORY" project, for which the Ivrea town council is inviting international submissions for the development of the centre, is online. Mission accomplished! announcing "The Culture Factory"
The speech of the mayor of Ivrea. The coordinator of the Promoter Committee, Giorgio Panattoni, writes to the Mayor of Ivrea, Carlo Della Pepa. The Olivetti Museum included in the programme of the chairman of the Regional Authority of Piedmont, Mercedes Bresso. Indications and criteria for implementation in Ivrea. Giorgio Panattoni, coordinator of the Promoter Committee, illustrates the initial project ideas. 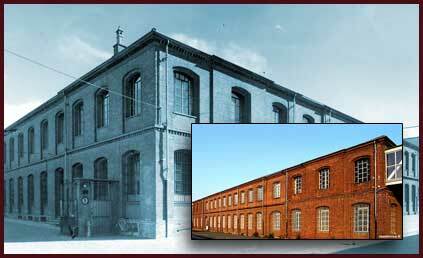 THE "CULTURE FACTORY PROJECT": INTERNATIONAL SUBMISSIONS FOR THE FAMOUS "RED BRICK FACTORY FIRST STEP COMPLETED! Inspired by an innovative vision of the role of the enterprise, the Olivetti story goes far beyond the traditional confines of a technological and industrial business organisation. The pursuit of a new relationship between capital, labour and community, a sense of social responsibility, a focus on people, attention to beauty as a substantial and not purely aesthetic value: all these have left an indelible mark on the town of Ivrea and the Canavese district. In today's troubled social and economic climate, the Olivetti experience – possibly unique worldwide – is one that should be documented, narrated and studied by the new generations and by the leaders of civil society and business, as a reference whose values can be of use to promote a different present and future, with greater content and hope. The Adriano Olivetti Foundation and the "Federico Caffè" Faculty of Economics at the Roma Tre University organises a study conference on Adriano Olivetti. As part of the IX Corporate Culture Week, an exhibition and cycle of meetings on the Olivetti culture. Collection of historic videos, commercials, interviews and eye-witness accounts on the history of the Olivetti company and the worldwide Olivetti myth. Online community of Olivettiani in Italy and around the world.